Avocado is one of my favorites foods. I think I’d eat it on just about anything. Can you believe that as of a couple years ago I had never had avocado. Never had quacamole or anything. Believe me, I’m making up for lost time now! This salsa comes together in just a few minutes, tastes amazing, and has pretty festive holiday colors. What more could you ask for? I definitely recommend making it at some point soon! It was a HUGE hit at our holiday party. The hardest thing about this recipe was just cutting the cranberries in half. Seriously! Those little round berries just don’t want to sit still. I didn’t want to slice each one individually, and I don’t have one of those chopper thingies, so I got a little creative. I used the ring from my springform pan to contain the berries. Then I used my bench scraper to chop them. It worked pretty well for me! 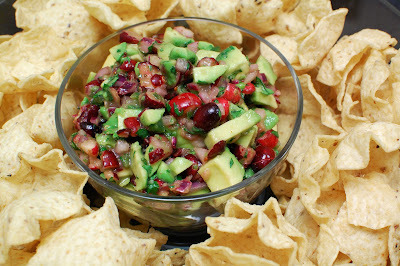 Cranberry and avocado salsa is delicious and festive! 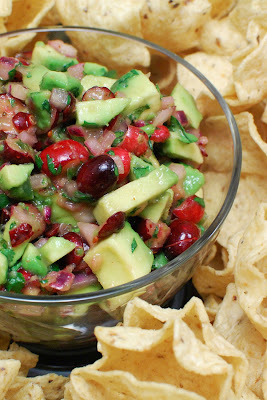 In a large bowl, whisk together lime juice, honey, minced jalapeno (seeds removed for less heat, if desired), and red onion. 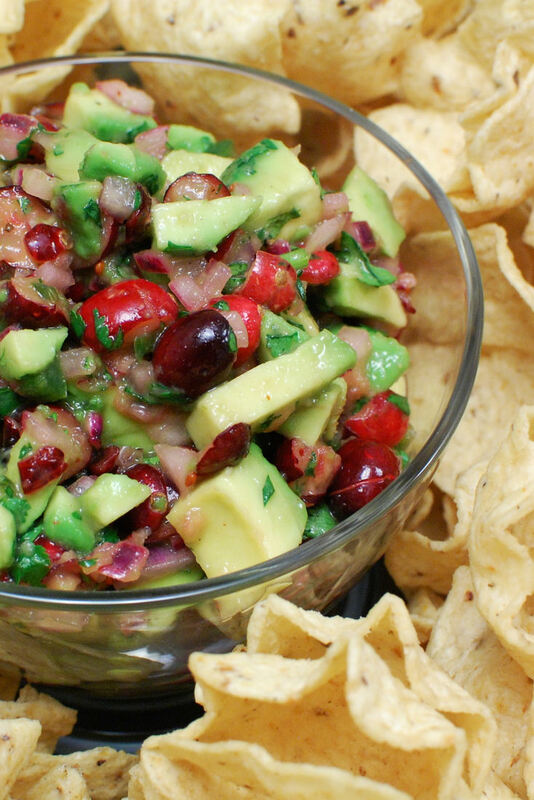 Add avocados, cranberries, and cilantro. Season with salt and pepper; toss gently to combine.